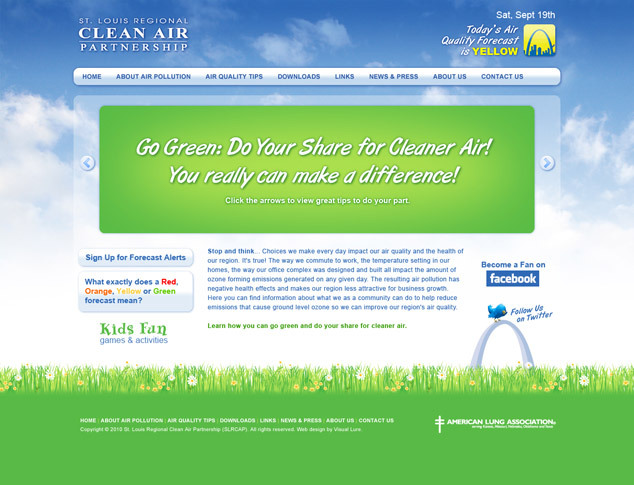 We designed the St. Louis Clean Air website in 2005 and it is amazing how web design technologies have changed in the last five years. Anyways, we are redesigning the website and here is a sneak peek at the new design. We will place a link when the new website is complete, so check back and be on the lookout for the new website launch.